nice! You're now in Good luck in round 1! I have been able to join the league successfully but cannot seem to link my game to the league (Racenet). The only option in the game under "racenet" is "unlink account" and "Terms & Conditions" neither of which allow me to pull up our stages. Hope to get this sorted before Monday, since I'll be unable to access xbox next week. Hey Guys am I a dummy? I can't see the 2011 Subaru Impreza STi R4 on the game cars list. Is it a DLC car? @OctoberDusk06 wrote: I have been able to join the league successfully but cannot seem to link my game to the league (Racenet). The only option in the game under "racenet" is "unlink account" and "Terms & Conditions" neither of which allow me to pull up our stages. What happens when you go to the leagues tab from the main menu? You're in the driver roster so it should show 'DSRL RC' inside the leagues bit. 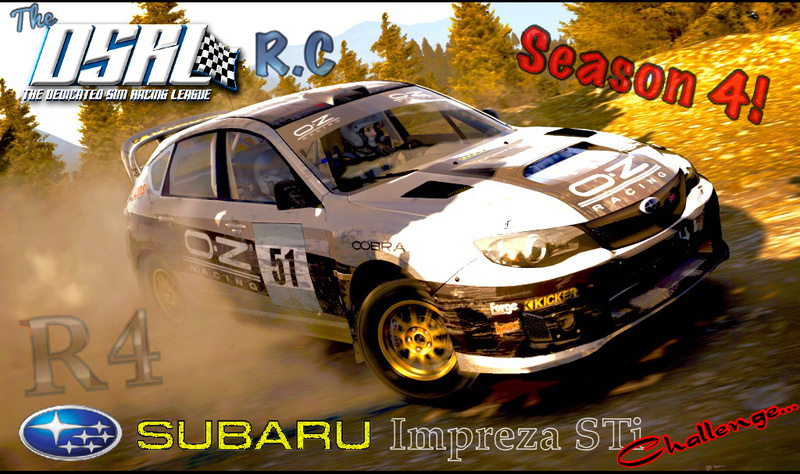 The "THE DSRL RC" is seen in my "Leagues" tab on racenet (internet), but there is no "league" area in DiRT4. I used to be able to do this in Dirt Rally. Either I forgot how, or it's a technical issue. I can't find any way (in the game) to tie a race to a league. If this issue can't be fixed by tonight, I withdraw. Dude. It’s dirt Rally. Not dirt 4! @DSRL McDuff wrote: Dude. It’s dirt Rally. Not dirt 4! I mistook all the "4" references as an indication that you had switched to DiRT4. I'm sure you mentioned "Dirt Rally, not DiRT4" somewhere, but I missed it, instead of assuming you were continuing with the old title. This picture had "R4" in it which I took to me "Dirt4" not "season 4"
Because I no longer have DiRT Rally and do not play it, I withdraw. Good luck to everyone! Dirt 4 doesn't even have leagues Rob, that would be why you were struggling to find it. Sorry to see you have to back out now... I'll let you know if we ever move on to Dirt 4 in the future of the DSRL RC! 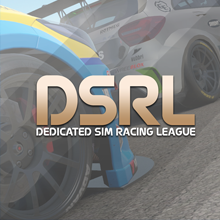 Hi you will need to submit another request to join the DSRL RC league in order to participate in season 4. Yea, it's crystal clear now that you have changed your front page icons and avatars. DiRT4 comes with the ability to run a rally (any length) together, one driver after the other. That's how it should be done. Also, memorizing stages, which even I can do, does not allow for fair competition or realism. But many (like yourself) prefer the physics of DiRT Rally. I get that. Have fun. Hope you have a great run. Yeah you can do multiplayer rallies in Dirt 4 jam sessions but there is a small lobby limit and you actually all run the stage at the exact same time... as ghosts, as opposed to staggered starts like Dirt 3 had. There is no option for this in dirt 4 like you think which is really not great and a step backwards. I personally prefer how Dirt rally does it solo compared to simultaneous rally ghosts, that's just not realistic at all. Really it should be all staggered though, released every 30 sec-1 min or something. Hopefully when they introduce the leagues section it will allow for more in depth rallying options as well. The stage memorization and repetition does get old after a while with Dirt Rally but its still 72 tough stages in 6 very different locations that are full of life and many brilliant corners, while Dirt 4's stage generation has been a lifeless flop for the most part. Very dull to drive most times for me, never gets the heart rate going like Dirt rally does. I definitely do like the aspect of not always knowing whats coming but after playing it for some time, you realize how many generator corners are repeated often within a single stage and that in itself gets old fast. Every time I do Dirt daily stages I go on Dirt rally first, do the 2 there and immediately switch to Dirt 4 to compare the feel to the other 2 dailies I just did. I have been doing this nearly every day since the release of Dirt 4 and I can comfortably say the general rally wheel physics in Dirt 4 don't come close to the physics in Dirt Rally, but the rallycross physics are very much an improvement on Dirt Rally imo. I think they put most effort into rallycross and put the rally mode as a lower priority for Dirt 4 unfortunately. The stage generator has great potential to really grasp the importance of the co drivers notes but I think they rushed that and it needs a bit more work. Whats most frustrating is that codemasters haven't said a damn thing about fixing/patching/adding anything since grabbing everyone's $ for Dirt 4 way back in June. Just so you know, you are most welcome to set up and run a Dirt 4 series or single event in the community challenge section. This has always been, and always ill be a Dirt Rally championship. The 2 titles dont really compare therefor Dirt 4 will have its own sub section, if it ever gets used at all officially. Yes stages can be memorised. Its up to the member to get in to the spirit of things. I dont practice, ever, i just get stuck in and do it in one sitting where possible. we run the rallies over 7 days to allow our members flexibility and to help them enjoy the events in their own time, whilst still having that element of competition. We work hard pre season to bring what variety we can with the tools available, and it works. Just this season, round one, by stage 7 we had lost many top competitors to the changing conditions and tricky stages. Rallying is all about the personal challenge and being able to share that with a bunch of other like minded folks is quite unusual in the online racing world. Sure there will always be faster guys who know the stages better thanks to the lack of content and support from codies, but the encouragement from fellow competitors is really what sets this apart for drivers of all abilities. Plus you quickly start to see who you are on a par with and set up your own mid table battles which, in this league, builds friendships! Its a shame you couldn't join us and experience it for yourself. Give me a shout if you want a hand setting up some D4 stuff. Looking forward to the next round… getting to the end is my first aim!! I was told I could jump on as a late entry. I didn't realize this was happening until it was too late for the first stage. Thanks! Welcome to the DSRL, Ronnie! TO ALL REGISTERED ENTRANTS! PLEASE NOTE YOU MUST SUBMIT YOUR POWER STAGE CLIPS TO THE DSRL XBOX CLUB WITHIN 24HRS OF EACH RALLYS END TIME. Crap! Sorry guys. I missed the last round. I’ve changed my shift temporarily at work and haven’t had much time to play lately. I’ll try my best to be more on top of it in the coming rounds. And I’m in the wrong topic. I’m dropping the ball hard.